Lu Schaper was born as Yang Lu in Shanghai, China. 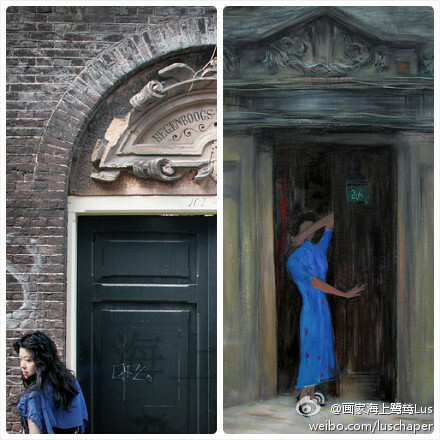 She grew up in an artistic surrounding, her father running the first art gallery of Shanghai after the Cultural Revolution. She had her formal education at the Fine Art universities of Shanghai and Beijing, specializing in Chinese ink. Her professional career has taken her to Malaysia, Singapore, France, and now the Netherlands, where she is running an art gallery (Galerie LuS). Her works ecompass oil paintings, Chinese ink drawings, fashion design, and photography. Her style is ever evolving, with clear impressionist and later expressionist phases. Her works have been exhibited at numerous national and international exhibitions. In addition, it has been used for a high-end fashion line of silk and pashmina scarves, for illustrations of bestsellers in Shanghai, as well as a CD cover for a German rock band. For more information on Lu Schaper, please click here or visit Lu's web site www.shanghailus.com. The main navigation buttons for this site are located at the top of each page.